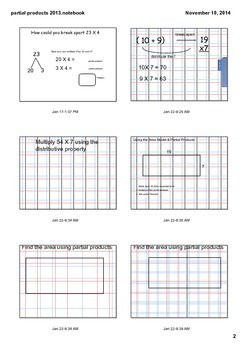 This lesson focuses on Common Core Standard 4NBT Multiplication. Here students use a variety of different strategies to multiply 2 digit by 2 digit numbers. 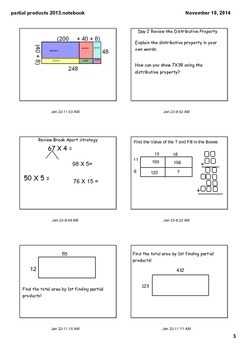 Students will use the partial products and the break apart method with distribution to solve multiplication problems. 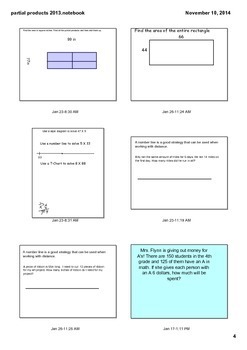 Word problems follow the end of the lesson.